The Common Market of the South (Mercosur) was established in 1991 with the Treaty of Asunción with the goal of creating a common market among Brazil, Argentina, Paraguay, and Uruguay. Venezuela joined in 2012, and Bolivia, a current Mercosur Associate Member, is in the process of gaining full membership. As of 2012, Mercosur had a combined GDP of $3.5 trillion USD, and is the world’s fourth-largest trade bloc. Although it has not achieved the level of membership and degree of integration originally envisioned, Mercosur represents a regionally and internationally important economic bloc. Despite Mercosur’s global significance, it has recently faced severe challenges. The socioeconomic crisis in Venezuela, the election of President Macri in Argentina, and the ouster of President Rousseff in Brazil have put unprecedented strain on Mercosur’s political and ideological cohesion, making cooperation more difficult and raising the political stakes of negotiations. Cooperation among Mercosur’s member countries is further complicated by two structural provisions in Mercosur’s charter—the requirement to negotiate as a bloc, and the requirement that all decisions be made through consensus. Mercosur’s internal differences, its structural provisions, and recent political developments in Argentina, Brazil, and Venezuela have increased friction between member countries and have exacerbated political gridlock. We believe the combination of these factors may result in the end of Mercosur as a unified economic bloc. On May 26, Paraguay formally requested a Mercosur meeting of foreign ministers to address the turmoil in Venezuela. The meeting would discuss the possibility of invoking Mercosur’s Democratic Clause against Venezuela, whose government has recently faced significant media criticism. Uruguay, the current holder of Mercosur’s rotating presidency, has thus far rejected Paraguay’s attempts to invoke the clause. However, the same debate is also occurring within the Organization of American States (OAS). OAS Secretary General Luis Almagro has already attempted to invoke the Democratic Charter of the OAS against Venezuela. Both the OAS’ and Paraguay’s attacks on the Venezuelan government have contributed to the highly politicized international debate surrounding Venezuela. The Council on Hemispheric Affairs (COHA) has condemned the partisan action taken by Secretary General Almagro, and has instead supported mediation efforts such as those conducted by the Union of South American Nations (UNASUR). No multinational organization possesses complete ideological homogeneity among its members. Acknowledging this, most organizations contain mechanisms designed to moderate the internal conflicts that may arise. Yet Mercosur’s internal structure—both the mandates enumerated in the initial Treaty of Asunción as well as subsequent addendums—exacerbates ideological differences between member countries instead of ameliorating the sharp conflicts that exist within the bloc. There are three main organizational mandates that particularly aggravate the internal tensions within Mercosur. The first is Article 16 of the Treaty of Asunción. Article 16 states: “decisions of the Council of the Common Market and the Common Market Group shall be taken by consensus, with all States Parties present.” This article not only requires that all decisions made by Mercosur be unanimous, but also affords every member country the power to veto any decision (with the exception of the country targeted when invoking the Democratic Clause). Given the diverse range of interests represented by the Mercosur countries, coming to a unanimous conclusion is not always easy, and if one member is dissatisfied, it can easily block a motion’s progress. Argentina, for example, long resisted a proposed EU-Mercosur trade agreement. Up until the election of President Macri, Argentina’s veto prevented a consensus on any such treaty even though there was wide support among the rest of Mercosur for the agreement. The second aspect of Mercosur’s organizational structure that exacerbates internal conflict is rule number 32/2000. Passed in 2000, the rule decrees that Mercosur countries can only negotiate new commercial agreements as a bloc. This means that no Mercosur member country can negotiate any free trade agreements independent of Mercosur. Article 2 of 32/2000 states: “beginning June 30, 2001, the member States will not be able to sign new preferred agreements or agree on new commercial preferences […] without being negotiated with MERCOSUR first.” This decision has had tremendous ramifications for Mercosur. When examined together, Article 16 and rule 32/2000 set up an organizational structure in which Mercosur member countries are mandated, despite their diverging economic and social priorities, to negotiate all new free trade agreements as a unified bloc—a bloc in which any member can veto any proposal. The proposed EU-Mercosur trade deal highlights the preexisting ideological differences among Mercosur member countries. Venezuela—the country with the most outlying economic interests within Mercosur—is not a part of these negotiations since it joined Mercosur after the trade talks were re-launched in 2010. However, the trade deal has still faced severe stagnancy. As referenced above, Argentina’s veto had long prevented a trade deal between the two trading blocs, and due to rule 32/2000, no Mercosur countries can negotiate independently with the EU. Thus, Argentina not only barred Mercosur as a bloc from striking a deal with the EU, but it also prevented Brazil, Paraguay, and Uruguay from making any independent trade-related deals with the EU. This forced stagnancy created tensions within Mercosur, as countries like Uruguay felt as if their economic plans were being stifled by Argentina. In fact, Uruguay has, in the past, proposed a repeal of rule 32/2000 in favor of a “two speed” system, in which countries would no longer have to negotiate as a bloc. This proposal signaled the country’s belief that Mercosur countries are not sufficiently aligned to achieve political integration. In recent years, a third feature of Mercosur’s organizational structure has been particularly representative of the internal divides that have gripped the organization. Like the OAS, Mercosur has incorporated, as part of its legal framework, a Democratic Clause. The provision, found in the 1998 Protocol of Ushuaia, outlines that a “rupture” of democratic order in any member country will result in “a suspension not only to the right to participate in the different integration bodies, but also a suspension to the rights and obligations coming from these processes.” Therefore, if any Mercosur member is found by the other members to have lost its democratic legitimacy, the Protocol of Ushuaia’s Democratic Clause may be invoked. Although it was created with the intention of ensuring member countries’ democratic processes, the selectivity and inconsistency in the application of this clause reveal the politicized nature of Mercosur. The Democratic Clause was first invoked in 2012 when Mercosur temporarily suspended Paraguay from the organization after a legislative coup removed leftist President Fernando Lugo from office. Paraguay was allowed to return to Mercosur in 2013 after the election of right-wing Horacio Cartes to the presidency. Yet while Paraguay was suspended, the remaining Mercosur members—Brazil, Uruguay, and Argentina—voted to accept Venezuela as a full member of the trade organization, capitalizing on the opportune political moment that Paraguay’s coup presented. The timing of this vote is extremely significant and highlights one of the ways in which the Democratic Clause has helped to create internal hostilities in Mercosur. Before its suspension, Paraguay was the only member country that refused to accept Venezuela’s bid to become a full member; because of the aforementioned Article 16, Paraguay was singlehandedly able to block Venezuela’s entry. However, once it was suspended, the other Mercosur countries were able to include Venezuela in the group, effectively bypassing Paraguay’s ability to veto the move. This tactical decision by Brazil, Argentina, and Uruguay aggravated Paraguay and intensified a long-running rivalry between Paraguay and Venezuela. Despite the strategic timing of Venezuela’s ascension to full member status, there is little question that the Paraguayan legislative coup constituted a violation of the Protocol of Ushuaia. In fact, Mercosur was not the only multinational organization that suspended Paraguay for its leader’s actions in 2012; UNASUR did so as well. Unfortunately, Mercosur’s recent decisions regarding the application of its Democratic Clause have not been as reputable. In May of 2016, Mercosur was called upon to make two decisions regarding whether or not to invoke the Clause. The first occurred on May 12, when the Brazilian Congress voted to impeach President Rousseff in a move that many, including COHA, have labeled a congressional coup. Recognizing the undemocratic nature of her ouster and its similarities to the events in Paraguay in 2012, President Rousseff herself has called for Mercosur to suspend Brazil. Yet in the face of this blatant rupture of Brazil’s democratic order, not a single Mercosur member has openly called for the organization to invoke its Democratic Clause against Brazil. The call for Mercosur to abide by its own organizational mandates has fallen on deaf ears. While no Mercosur members called for the suspension of Brazil after the removal of President Rousseff, some have since called for the suspension of Venezuela because of its current political and economic situation. On May 26, Paraguay followed Secretary General Almagro’s move in the OAS and attempted to invoke Mercosur’s Democratic Clause against Venezuela. This move has since been backed by Interim President Michel Temer of Brazil. Although no rupture of Venezuela’s democratic order has occurred—a fact that Uruguay acknowledges—both Brazil and Paraguay are attempting to remove Venezuela from the bloc for what can only be described as political motivations. It should not be a surprise that Paraguay is leading the charge against Venezuela; after all, Paraguay has long been hostile toward the socialist Venezuela, which was opportunistically admitted to Mercosur during Paraguay’s suspension. Furthermore, Argentinian President Macri has continually altered his stance toward the Venezuelan government. Although immediately after his election, President Macri exhibited a hard stance against Venezuela, his position had since mellowed. A May 21 joint statement issued by Argentina, Chile, and Uruguay on the Venezuela situation represents this shift in Macri’s stance. This statement espouses their belief in respecting the domestic sovereignty of Venezuela: “With full respect for the principle of non-interference in domestic affairs, we believe that Venezuela’s problems should be resolved by Venezuelans themselves.” Yet on June 14, Macri hosted Venezuelan opposition leader Henrique Capriles at the Argentinian Pink House. This meeting demonstrates that President Macri may be reconsidering his commitment to the democratic order in Venezuela. Despite the blatantly anti-Maduro positions of Paraguay, Brazil, and Argentina in relation to Venezuela, it is unlikely that Venezuela will be removed from Mercosur. Uruguay has rejected calls from Paraguay to invoke the Democratic Clause. Since all decisions must be made unanimously by Mercosur, Uruguay can singlehandedly prevent the bloc from excluding Venezuela. Furthermore, Venezuela is slated to acquire the rotating presidency in July. While this will not necessarily provide any technical protection from the Democratic Clause, it will increase Venezuela’s relative power in the organization, making it more difficult to gain the votes necessary for a unanimous decision. The conflict over the Venezuela situation has revealed the sharp ideological divides that exist among Mercosur member countries—rifts that Mercosur does not possess the organizational mechanisms to address. Ideological differences have developed over the past four years as the political climate has shifted in each of Mercosur’s five member countries. The first of these shifts took place in Paraguay in 2012. Paraguay’s conservative shift was mirrored in Argentina when President Macri was elected in 2015, and in Brazil this May when interim President Temer assumed the presidency. Even Uruguay’s center-left administration seems to be pushing for neoliberal opportunities, especially with regard to the EU trade deal negotiations. Following the removal of Paraguay’s leftist President Lugo, Paraguay was reinstated into Mercosur under the new administration of conservative Horacio Cartes. President Cartes has insisted that attacking Paraguay’s extreme poverty is a high priority for him, yet his methods focus on working with the private sector, increasing foreign investment, and relying on trickle-down economics. Cartes ran as a member of the Colorado Party, the authoritarian party that held power for 60 years before former President Lugo took power. Not only do Cartes’ economic policy goals oppose Venezuela’s, but he has also been openly antagonistic toward the Maduro administration. Argentina has experienced similar policy shifts this year. Under the administration of President Macri, who took office at the end of 2015, Argentina is no longer blocking progress on the EU trade deal. Macri, in contrast to his predecessor, Christina Kirschner, is unsupportive of social initiatives and has been leading the country in a more economically conservative direction. As summarized in Open Democracy by Professor of Economics at Universidad de San Martín, Roberto Lampa, “it is indisputable that the economic policies implemented since last 11th of December have an explicitly classist character and are working to restore the neoliberal orthodoxy of the 1990s.”  For example, Macri has eliminated many subsidies and programs aimed to help the lower classes, while also lowering taxes on large corporations. These policies run in clear contradiction to Venezuela’s strong focus on social initiatives. 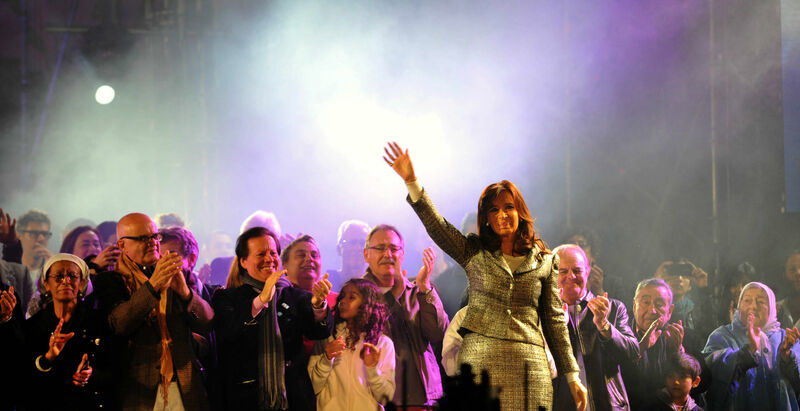 Macri’s policies have been described by Maria Candia in Foreign Policy as “launching an agenda to normalize relations with the United States and the rest of the world” and as a “clear shift away from populism, putting distance between Argentina’s government and Venezuela’s leftist regime.”  The ideological rift Macri has created between Argentina and Venezuela adds another hurdle to overcome in trying to foster cooperation within Mercosur. Most recently, Brazil, whose economy makes up two-thirds of Mercosur, experienced a sudden and undemocratic change in administration. As unconstitutional as COHA has found Rousseff’s impeachment to be, it appears likely that Temer will serve out the rest of Rousseff’s term. Temer, of the center-right Brazilian Democratic Movement Party (PMDB), has already made several moves indicating that his administration’s economic policies will sharply contrast with those of the Workers Party (PT). In addition to his introduction of a conservative new cabinet, Temer’s economic strategy has been praised by conservative investors and proponents of free trade. Executive Vice President of the U.S. Chamber of Commerce Myron Brilliant has described Temer as “considerably more open to trade liberalization” and fostering open trade relations than was Rousseff. Similarly, Columbia University professor and former Brazilian Diplomat, Marcos Troyjo, told The Washington Post that Temer’s new foreign minister, José Serra “will bring Brazil closer to the West, not only in ideological terms, but practical terms, in terms of market access.” Because of this growing focus on relations with the West displayed by both Brazil and Argentina, both countries are likely to view Venezuela’s preference for protectionist economic policies in Mercosur as stifling their own economic development. Finally, Uruguay has also shown increasingly neoliberal economic tendencies incompatible with Venezuela’s preferences. Despite significant progress in negotiations between the EU and Mercosur since the election of President Macri, Uruguay has expressed frustration with the slow pace of the talks. This frustration is in part demonstrated by its economic maneuvering with China. On June 20, the Latin American Herald Tribune quoted Uruguay’s Deputy Foreign Minister, Jose Luis Cancella, as saying, “Uruguay has a great deal of interest in advancing toward freer trade with China, since that country is Uruguay’s leading trade partner, not only for soy but also meat and other products that enter the Chinese market.” Uruguay is not allowed to enter into an agreement with China under current Mercosur bloc rule 32/2000, but this quote further demonstrates that the country desires the independence to enter into such trade agreements. Importantly, Venezuela is excluded from the veto power afforded to the other member countries regarding the EU-Mercosur deal, because it was not a member when negotiations were re-launched in 2010. Now that Venezuela has member status, however, Mercosur must contend with the “anti-market” country’s veto capabilities in any future trade deals it pursues. This may prove to be a daunting prospect; as elaborated by the Uruguayan Presidency pro tempore in an exclusive interview with COHA, “we’ve never negotiated trade agreements with Venezuela as part of the bloc. All the trade negotiations Mercosur has started and finished now were before Venezuela was a member of the group, so we never had that situation.” With Venezuela’s current membership, gridlock due to dissonance among distinct economic goals seems inevitable. Moreover, with newly increased pressure to expand free trade from the neoliberal administrations in Mercosur, this stagnancy will be much less tolerated than in the past. As highlighted by the socioeconomic crisis in Venezuela, the election of President Macri in Argentina, and the ouster of President Rousseff in Brazil, this is an era of hyper-politicization and fragmentation among Mercosur member countries. 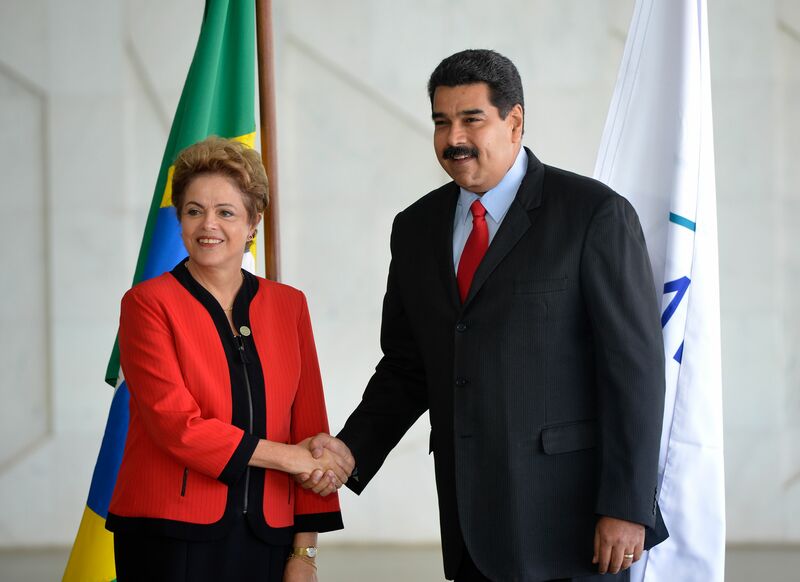 Featured Photo: Rousseff and Maduro. Taken from Wikimedia. “Cartes Plays His Cards; Paraguay’s New President”, The Economist 409, no. 8867 (Dec 21, 2013). The House Committee on Foreign Affairs Subcommittee on the Western Hemisphere, 1. Uruguayan Presidency pro tempore (anonymous), interviewed by Erika Sato and Eli Cain, Council on Hemispheric Affairs, July 1 2016.